Below the cliffs of Chapman's Peak is the little village of Noordhoek. Its setting is beautiful as it looks out over the Noordhoek beach with its beautiful white pristine sand and wetland area. The village used to be part of the Imhoff's Gift farm which stretched all the way from Noordhoek to Kommetjie in the south. 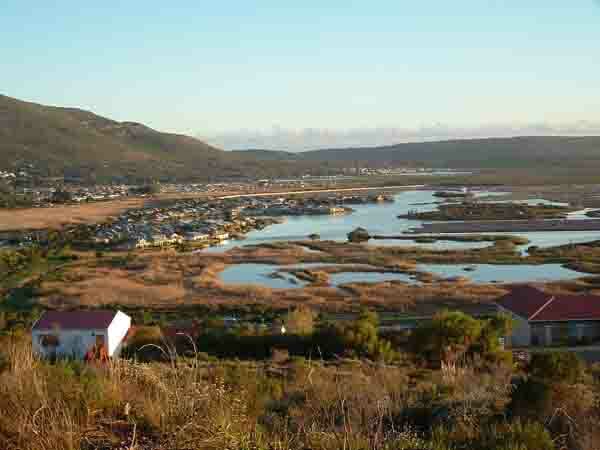 Noordhoek has changed over the years as people have discovered this lovely valley. It still maintains its farming atmosphere and if you drive through its streets you will come across fields with horses grazing in them . Other fields have vegetables and fruit. The centre of the village has been built up and now boasts a lively shopping centre housed in Cape Dutch styled buildings. Some of them dating back hundreds of years . Artists have moved into the area and many of the shops sell arts and crafts made by the locals. There is a restaurant and a quaint pub in the complex as well. The village itself is beautiful and has many oak trees growing lining its streets. Quite different from the rest of the Southern Peninsula where you will find bluegums and virgin bush. A couple of kilometres from Noordhoek a major shopping centre has been built which caters for the populations of Fish Hoek and Kommetjie as well. The wetlands close by have been turned into a marina where houses are built on the banks of man made canals. Unfortunately for the residents of these houses a large squatter camp has developed nearby which causes security problems for the homeowners. Noordhoek has its own Kaolin mine which has been built on the slopes of Chapman's Peak above the village. The mine was the subject of much debate over the years as the developers sought to start their mining operations. Eventually a compromise between the parties was reached and mining began. Fortunately the mining company has kept to its agreements to date and the casual visitor to the area will not even notice the mine. 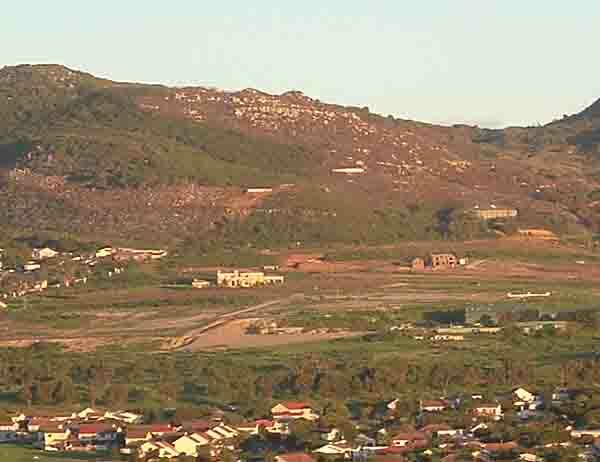 The old open cast Kaolin mine near Fish Hoek which was part of the agreement has slowly been closed down and the site rehabilitated. The open scarring is now a lovely green area covered with grass and trees. Noordhoek which lies at the entrance to the Chapman's Peak drive has regained a new lease on life since the road has been reopened. For the years that Chappies was closed few visitors to Cape Town passed that way. That's all changed now and Noordhoek is booming. When next you drive around Chapman's Peak stop off at Noordhoek and visit the town centre. You can enjoy tea and scones under the trees and leave for home with a loaf of farm fresh bread under your arm. For those who would like to stay for a while there is much to do. The long white beach beckons, and with the horses available for hire a ride along the beach is a must.